On May 15, the U.S. Food and Drug Administration (FDA) issued a safety communication about the new SGLT2 inhibitor class of type 2 diabetes drugs, alerting the public at large to a possible link between use of the medications and the development of the dangerous condition known as ketoacidosis. According to the agency, it has received numerous reports of patients who have taken these medications and suffered potentially life-threatening elevations of acid in their blood. The FDA’s safety communication relates to medications referred to as “SGLT2 inhibitors,” but specifically cites AstraZeneca’s Farxiga (dapagliflozin), Johnson & Johnson’s Invokana (canagliflozin) and Jardiance (embagliflozin) from Eli Lilly and Boehringer Ingelheim. According to the alert, the agency’s Adverse Event Reporting System had already documented 20 cases of ketoacidosis in patients, occurring from March 2013 through June 2014. Each of the affected patients were either hospitalized or received emergency treatment for their conditions. Referred to in shorthand as SGLT2 inhibitors and first released in 2013, the newest generation of diabetes medications are sodium-glucose cotransporter-2 inhibitors which function by promoting the secretion of excess blood sugars into the urine. The spike in popularity of these drugs is due in part to the fact that not only have they appeared effective in the primary treatment of diabetes, they also facilitated moderate amounts of weight loss in patients and helped them achieve reductions in blood pressure. Though there were some initial concerns regarding possible cardiovascular side effects of these drugs, those worries have been largely assuaged by recent research data. On the heels of the U.S. FDA safety communication, the European Medicines Agency issued a separate alert regarding ketoacidosis risks in patients taking SGLT2 inhibitors available in the EU. These include Invokana, Ebymect, Edistride, Farxiga, Jardiance, Synjardy, Vokanamet and Xigduo. The statement, published in February 2016, urges health care providers to be on the watch for atypical presentation of diabetic ketoacidosis, especially in patients who don’t present with high blood sugar levels. The agency also advised doctors to temporarily stop SGLT2 inhibitor treatment in patients who were hospitalized for surgical procedures or due to severe illness. The development of ketoacidosis in patients with type 2 diabetes is not only potentially very dangerous, it is also atypical. The condition is generally one that is associated with type 1 diabetes and individuals who have experienced unusually high spikes in blood glucose. The type 2 diabetics who have reported adverse effects after using SGLT2 inhibitors actually experienced only slight to moderate jumps in blood sugar. Ketoacidosis can have a severe impact on those who develop it, as it produces significantly elevated amounts of acids, (known as ketones) that are released into the bloodstream. If left untreated, those afflicted by the condition are at risk of coma or even death. Therefore, it is important for all patients using these medications to be alert and watchful for the development of symptoms that include unusually frequent urges to urinate, excessive thirst, abdominal pain, vomiting, nausea and breathing difficulty. In addition to ketoacidosis, concerns have been raised about SGLT2 inhibitor side effects and the development of renal toxicity in certain patients. 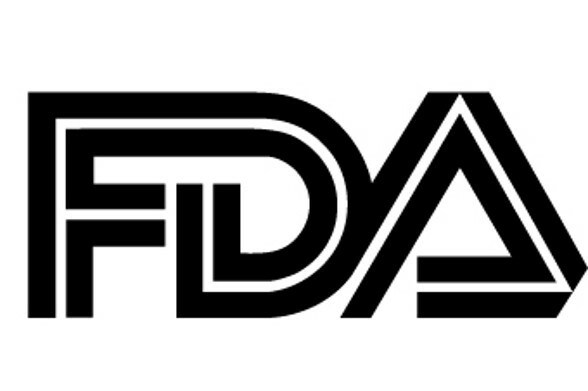 The May 15 notice from the FDA concerning SGLT2 inhibitors includes a recommendation that patients currently taking the drugs remain vigilant and closely monitor their day-to-day condition so that the signs of ketoacidosis are immediately recognized should they appear. This is because prompt medical attention is essential to a favorable outcome in those who develop this dangerous condition. Those who begin to feel unusually fatigued, suffer breathing difficulties, begin to feel nauseous or start to vomit should seek medical assistance as soon as possible. Failure to address these symptoms in a timely manner can result in coma or death. Typical treatment protocols for those in the midst of diabetic ketoacidosis include infusions of electrolytes, fluids and appropriate doses of insulin. Type 2 diabetes has been described by many as a looming epidemic, due in part to the alarming rate of obesity and prevalence of poor dietary habits among large segments of the population. Given the breadth of the potential problem, it is not surprising that great excitement followed the release of these next-generation diabetes drugs in 2013. However, the FDA’s recent communication about potentially severe side effects associated with the medications suggest that a wave of litigation initiated by those who have been harmed by Invokana, Farxiga and other drugs may not be far off. Invokana and Farxiga lawyers nationwide are in fact interviewing those who may have been injured as a result of using an SGLT2 inhibitor to treat their type 2 diabetes, and new lawsuit filings are anticipated. Time will tell whether the scope of the harm done by these medications will rise to a level requiring the establishment of a federal multidistrict litigation or state mass tort procedures, as has been the case with several other allegedly dangerous drugs.